Journalistic freedoms observatory condemns the murder of the Iraqi journalist Soran Mama Hama, who was shot dead by unidentified gunmen in front of his home in the shorija neighborhood of Kirkuk on Monday night. JFO member in Kirkuk said that "Soran was murdered when three gunmen knocked the door and asked his family about him, when he appeared to see them, they shot him in different parts of his body". He added that "the assassins immediately escaped with their grey BMW car when Soran fell down to the ground". Soran, in his twenties, worked as a reporter with "livin" magazine for five years, and worked with many media organizations, too. He worked as an office manager of" Kurdistan report" newspaper in Kirkuk. Ahmed Mira, livin's editor- in- chief told the JFO that Soran wrote many social and political reportages; he wrote about "the financial and administrative corruption of some officials in Kirkuk, his last article was about prostitution in Kirkuk and the complicity of police and security officials. Mira added that Soran has received many threatening messages last year because of his being a journalist, "you will die if you don’t quit your work" the messages stated. Mira said the murder of their courageous mate would encourage them to pursue their hard work and would empower them to achieve their professional goals. It is worth mentioning that 239 Iraqi and foreign journalists were killed in Iraq since 2003, whereas there are many crimes against the journalists not revealed yet. 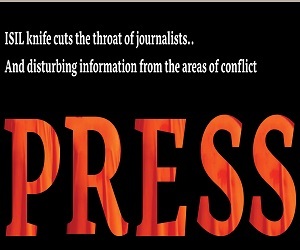 Some journalists were targeted for reasons other than their being media men. 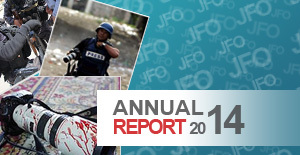 64 journalists were abducted; many of them were killed, while 14 are still missing, as per the statistics of the JFO. The JFO extends its deep condolences to the victim's family and friends; it urges the security authorities in Kirkuk to chase the criminals and open wide investigation and search about the three criminals with their grey BMW car to reveal the bodies standing behind Hama's murder. 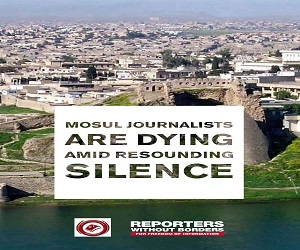 translated in cooperation with the organization of "Reporters Without Borders."